The product below was provided to us free of charge for review purposes. No monetary compensation was received and all opinions are our own. 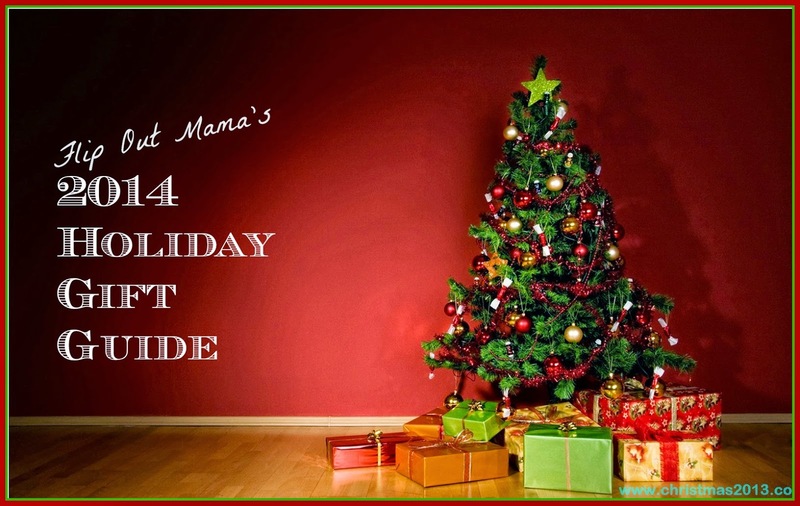 Today's Holiday Gift Guide Feature is the perfect gift for the hard working man on your list! Milwaukee Tools M12 Cordless Heated Jackets are perfect for the guy (or girl!) who spends tons of time outside in the elements! These jackets are simply amazing. Keep reading to find out more! Redesigned for optimal fit and better heat retention, Milwaukee® M12™ Cordless Heated Jackets integrate (5) carbon fiber heating elements and advanced fabric-layering technology to distribute and maintain heat across core body areas. For added versatility, two distinct heat zones (back and chest, lower pockets) can be adjusted independently to provide the right amount of heat for any situation. A rugged wind and water resistant shell keeps weather out while improved insulation and a thermal fleece lining hold heat in to maximize warmth and reduce the number of layers needed. On and off the jobsite, Milwaukee® M12™ Heated Jackets provide up to 6 hours of continuous heat per battery charge to withstand even the harshest winter conditions. Utilizing the same M12™ REDLITHIUM™ Battery technology that powers 60+ tools, the M12™ Battery holder is stored in a sleek back pocket that can expand to fit M12™ XC Batteries and all M18™ Batteries with additional M18™ USB Charger accessory. It also includes a fuel gauge to check your battery life and built-in USB port for charging portable electronic devices. All M12™ Heated Jackets are washer and dryer safe. We received the M12 Black Heated Jacket Kit to review, and it is simply an amazing product! There really is no question as to why these jackets are so popular, and they are so tough to get your hands on! The M12 has four different heat zones, one in the chest/stomach, and one in the upper back. There is another in the lower back, and the last heat zone is in the pockets. The battery charger goes in a small pocket on the side, and although it is hard to believe, you can barely tell it's even there. It's definitely not something that would aggravate you or get in your way during a long day's work. There is also a USB port that allows you to charge your devices from the battery of your jacket, and there is even a slip to run the cord from the battery to the other pockets. This feature is very helpful and is not aggravating at all. This jacket is very thick, it could actually keep you warm without the heater even turned on in some conditions. Our reviewer actually wore a hoodie over the jacket for part of the review time, and says that is actually a great way to keep more of the heat inside and stay a little bit warmer. The pockets are really big and roomy, and there is room to keep any needed "stuff" inside as well. Our reviewer was very impressed with the even heat distribution of the jacket. He says that there were no "hot spots" and that all of the heat was evenly distributed. Also, even though the sleeves do not have their own heating elements, they stay warm and toasty too! The jacket also has an LED display that shows the heat settings. That is very helpful that you are able to always see exactly what is going on. There is also a button on the bottom of the battery pack that shows you how much battery life you have left, which is a useful thing as well. The jacket is also really nice, and is fashionable enough to wear out. Simply put, this is not just a work jacket, it is way more than that. Don't forget that this jacket can be washed and dried at home in your washer and dryer with no issues- how cool is that!?!?! The only thing we would recommend if you are purchasing a Milwaukee Heated Jacket, is that you pick up an extra battery (they are super cheap!) to extend the heat time! The jacket is rated for six hours of heat, but on high settings and at extremely cold temperatures, the jacket only lasted for about four hours. Keep in mind, however, that this was on a 10 degree morning, and that is probably not typical. Once the high of the day reached about 30 degrees, our reviewer switched to low settings, and found that the battery life was much longer, and stayed nice and warm for the rest of the day. Also keep in mind that charging a battery is super fast, and only takes about 20 minutes for a full charge. However, you might find it helpful to always keep a spare battery around, so you never have to feel the cold at all! These are the same batteries that can be used in more than 60 other Milwaukee tools products, so they are interchangeable. All in all, we were extremely impressed with this jacket. It does everything it needs to do, and more! The price for something like this is incredibly reasonable, and this is one of those times that you definitely get what you pay for! 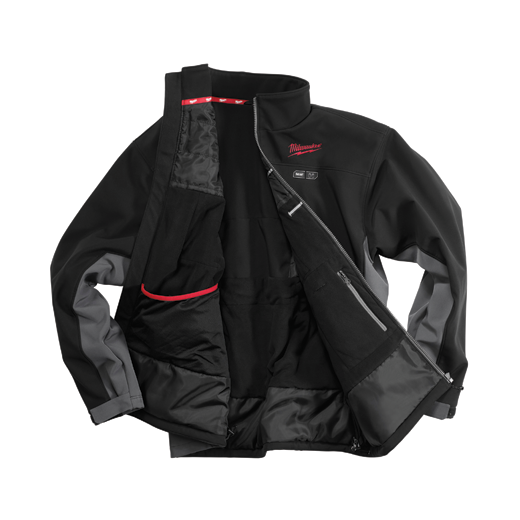 You can consider the Milwaukee Heated Jacket an investment that you will be glad you made. 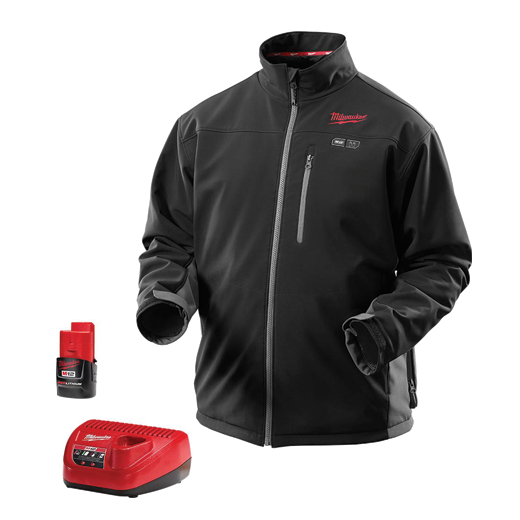 If you want to learn more about Milwaukee Tools and their line of heated gear, check out http://www.milwaukeetool.com/. or watch the video below!